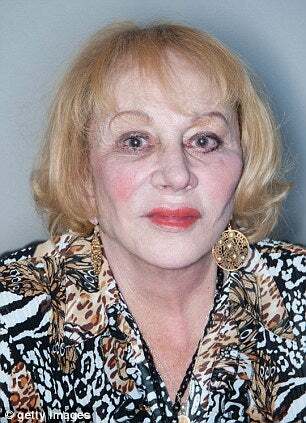 Sylvia Browne, wife, mother and grandmother, is dead. That concludes the part of her obituary that a newspaper would print. "[Screw] 'em. Anybody who believes this stuff oughta be taken." And take them she did, to the tune of about $3M/year according to her financial manager. Perhaps more famous for her misses than her makes, if indeed she ever had any, Sylvia was nevertheless ruthless and clever enough to convince people to keep lining her pockets. It's hard to blame those people; everyone copes with death differently. But what is our media's excuse? Despite telling 6-year-old Opal Jo Jennings' family, falsely, that their missing little girl had been sold into "white slavery" in Kukouro, Japan, USA Today makes space for Montel Williams to mourn his friend, a "Renowned psychic" by the paper's reckoning. With full knowledge of Sylvia's 2002 farce about Holly Krewson, whose parents deliriously searched LA-area strip clubs after being told she was working incognito as a dancer in Hollywood, People's Stephen Silverman recollects her "strong beliefs" as a "Celebrated Psychic". And, incredibly, in the same piece they note her infamous lie about the death of now-rescued Amanda Berry, NBC News reports that 22 of Browne's 50 books made the New York Times Bestseller list. Yes, she's left quite a record. Over the years, Sylvia has taken large sums of people's money against their will and refused even larger sums for fear of being exposed. But most of the time she was content to bleed them dry in small doses. She's gone now, and not a moment too soon by my reckoning, (maybe 11 years by hers), but her poison still stings old wounds for many. One hopes there is an afterlife after all where our loved ones (and pets?!) have a chance to set her straight. But for now, let's give her the courtesy she never extended to the dead, and let her stay silent and cold in the damn ground.